The small particles of the super collagen water and Baobab oil in the Moistfull Collagen Eye Cream, endlessly provide rejuvenation and fill your dry skin with moisture. 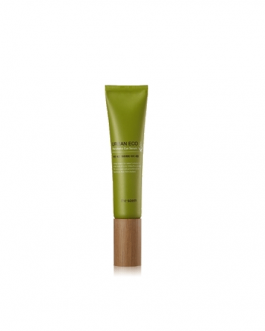 The Eye cream has a firm, clinging texture that will stay on the skin, but will absorb the moisture completely. It will protect your eyes and the skin around your eyes as healthy as ever! For skin care, apply the appropriate amount onto the face and massage from the center, out. Then with the left over moisture, gently dab away so that the skin absorbs them. A little goes a long way, so I think this product will last me forever. It leaves the skin around my eyes soft, which is great. My only regret is the scent, which is a bit too ‘strong’ for me. It smells good though! Actually I would like to rectify my precedent review.. It doesn’t smell strong at all, I got confused with the Etude House collagen cream (face cream). This eye cream actually have a very subtle scent! Nice eye cream. I did not notice much of a difference in my skin but it feels a bit moisturized when I wake up. I like that it’s a gel formula so it feels very light under the eyes. There is perfume in it though so it might not be suited for very sensitive skin. The scent is very gentle. 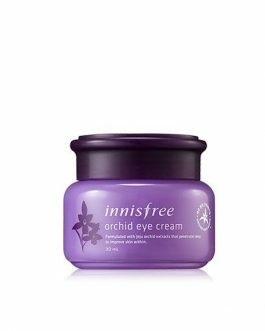 I prefer this eyecream over the innisfree orchid one. Although the innisfree orchid one was a sample. Anyway, this eye cream I don’t have to use a lot yet it has enough nourishment. The scent is lovely. I love love love this product! 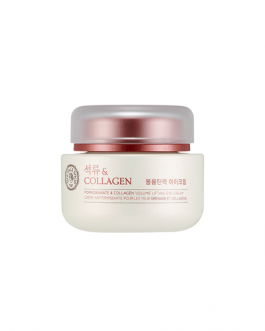 This is the rason why I bought the Moistfull Collagen face cream and loved it as well. Been using this for over a month now and will definitely repurchase in the future! Really do like this eye cream. I have been using it for over 2 months, and I have repurchased this for my mum. We both love this product. The consistency is quite thin and spreads out easily so you only need a very little amount. 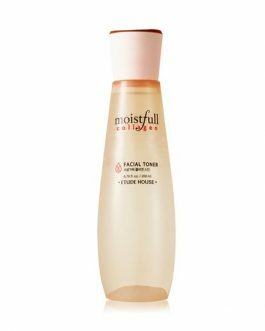 It leaves the under eyes very moisturised and I have seen an improvement in my fine lines. I only wish that this did something for my dark circles too (it would be the perfect product). I love this eye cream. I had some dryness on my eyelids due to long sun exposure, but soon after applying this it made it go away. My eyelids feel super soft and I love that it’s gotten so much smoother and nicer looking when applying makeup. I do like this eye cream but because it is from a roadshop brand, there really isn’t any obvious effects. The product comes with a lot of cream and a little bit goes a long way for both eyes so it will last a long time. Cream isn’t too heavy and absorbs really quickly into the skin, absorbs faster when patted in. I also remember reading a review about this product helping the reviewer’s lashes grow and tried it myself on both my eyebrows and lashes. Surprisingly it does work. It was more obvious for my eyebrows since I already have long and thick lashes but my eyebrows were somewhat over-plucked at the tips and this product really helped to make my eyebrows grow faster. Had my mom try this method (hers was just plucked into the wrong shape) and I can 100% assure you guys that it works for helping eyebrows grow faster. First of all, I think this jar comes with so much product comparing to the other eye creams I’ve had, so it’s awesome economically. Love the souffle texture! Spreads really well and a little product goes a long way. Not sticky and has no strong smell. So far so good and makes my eye area soft and moisturized. For this product I actually have a comparison! 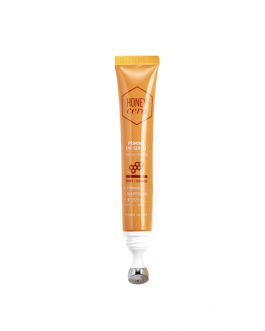 My sister uses the Mizon snail one in a tube, and I have been using this one. We both have fine lines on the under eye, but hers seem a bit more deep. So far it looks like this eye cream is more moisturizing than the Mizon one. I didn’t notice much of a difference in my skin, i still have the same eyebags and fine lines when i smile hahaha (maybe i need a surgery lol) , but it lasts very long, it’s been 5 months since i started using it. Its very moisturizing and has a nice scent. If you have dry under eyes then this is for you. Very moisturizing but it doesn’t do much else. Nice and moisturizing cream. A little goes a long way, so I think this product will last me forever. A little goes a long way. It’s a fantastic moisturiser that has helped reduce the fine lines under my eyes. This was my first try with eye creams, and I think it was a good starting point. It is very light and moisturizing. It absorbs quickly, so I don’t have to wait before applying eye makeup. I’ve noticed an improvement in the texture of the skin around my eyes, and it’s helped with my dark circles too. 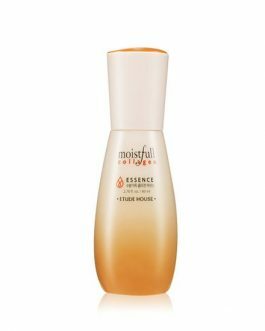 I use it while i’m waiting for the first essence to sink into my skin and it works. I’m not saying that this will change your life but it does moisturize well. Great value for the price. 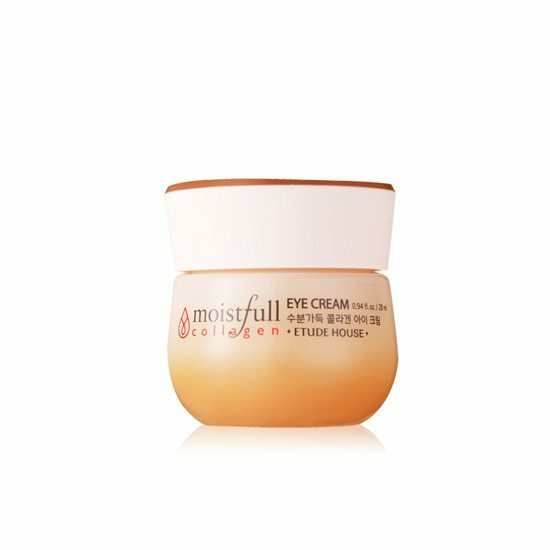 My absolute favorite eye cream! 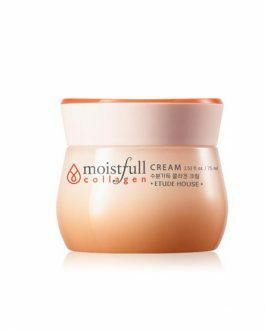 This is my third time using the Etude House Moistfull Collagen line. I don’t have any eye bags or wrinkles, but occasionally I do have a problem with dark circles. Although the product isn’t for dark circles, I have noticed I haven’t had any problems since I started using it. It’s very moisturizing. A little goes a VERY long way! I don’t recommend scooping any out, just simple patting the eye cream and you’ll have enough to put around the eyes. The cream itself is a gel-like consistency, kinda bouncy. No complaints. It’s a great product. 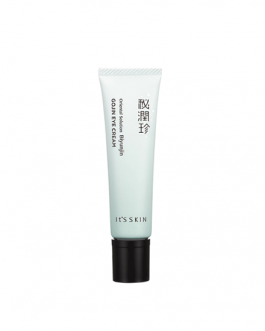 This eye cream does not irritate the skin! I have dry skin and it is perfect for me. 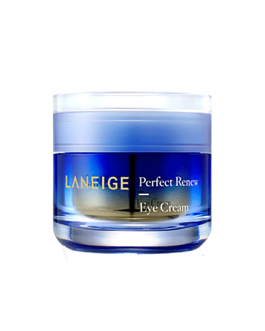 It has a very moisturizing formula which helps my eyes feeling fresh. A little goes a long way! 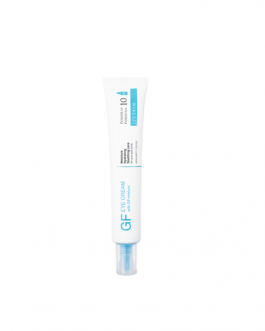 This eye cream is so nice and great for moisturising my under eye area! I love it and so do my friends! Not a bad product but not so impressed by this product. A little of this product goes a long way, but the fragrance of this product is not what I like. This smells like an Olay cream moisturizer. I put this on for about 2-3 weeks now and I still don’t see much change in my under eye bags and dark circles. This is my last skincare step after exfoliation, essence, sleeping mask. 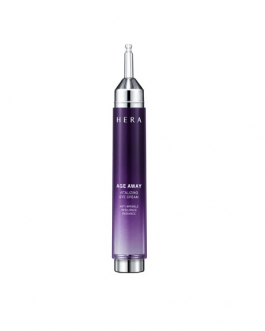 The formula is quite thick and it absorbs so good, doesn’t leave the skin sticky at all and the scent is mild. However it doesn’t treat under eye dark circle nor wrinkles. Overall a good product to have.